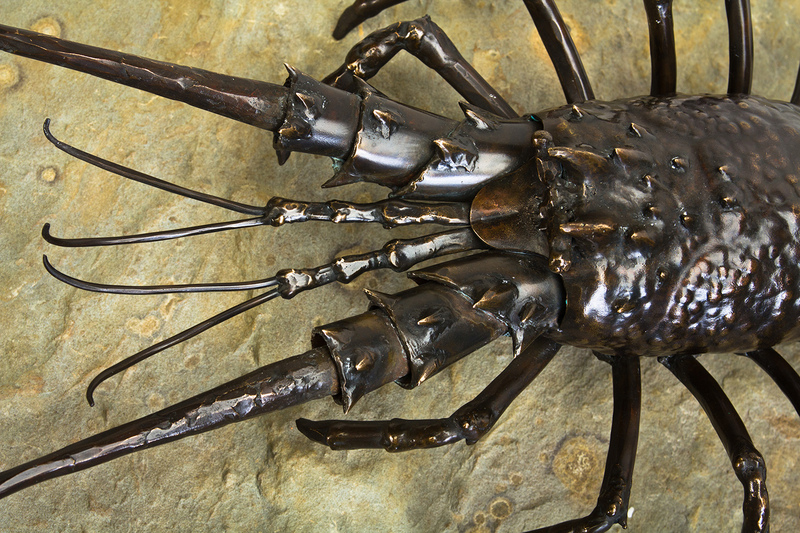 When lobsters migrate they traverse the ocean floor in long, single-file lines. 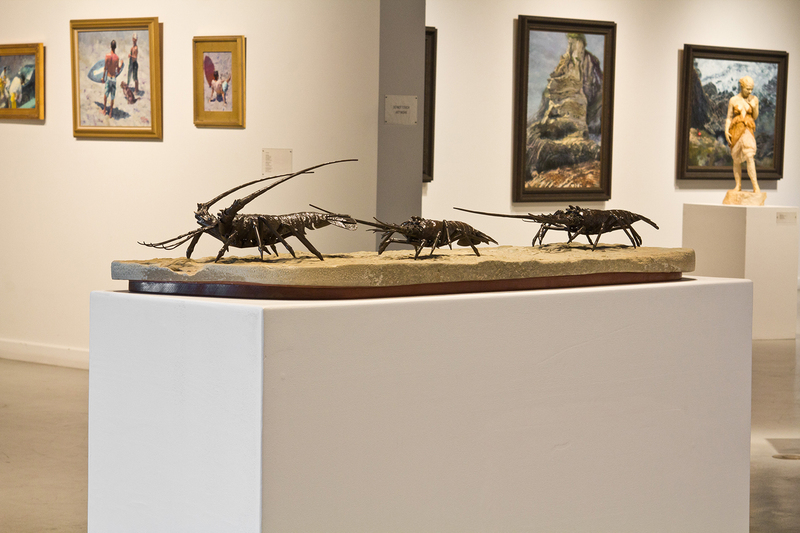 As they go, they observe their environment and communicate with each other and through their antennae. 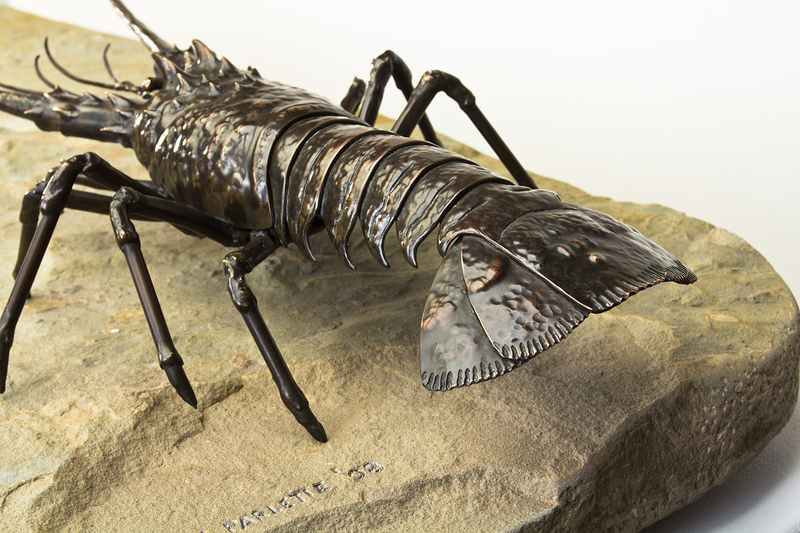 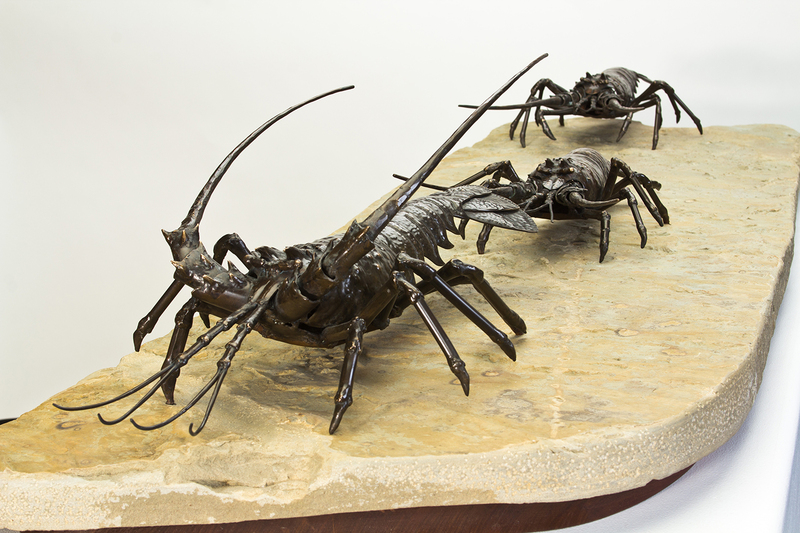 These lobster sculptures are forged, hammered and welded of bronze sheeting. 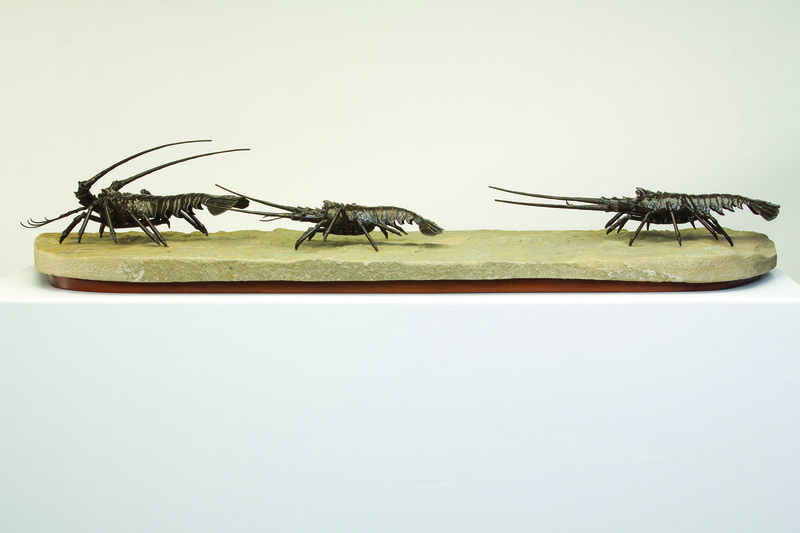 They are anatomically accurate, but more importantly, their movement (the stretching exploration of their antennae, the articulation of their legs) is accurately rendered, a result of considerable observation and study. 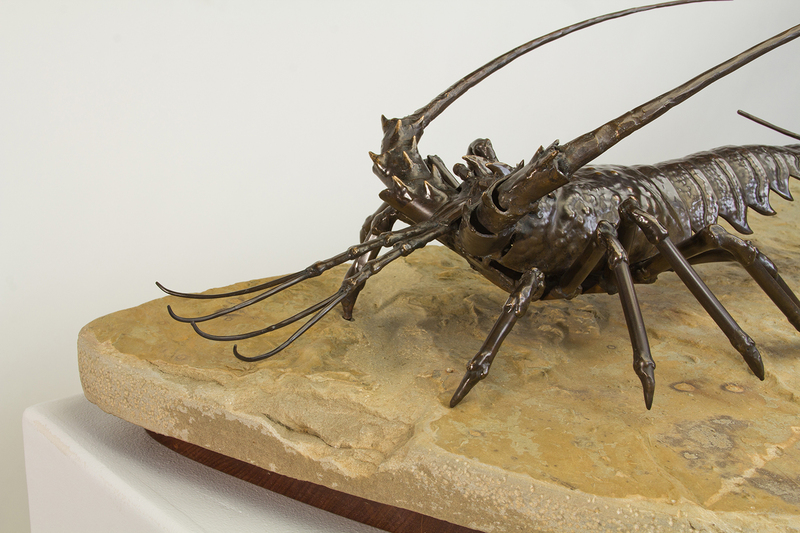 The piece of stone, with its texture redolent of the sea floor, was the initial inspiration for this piece. 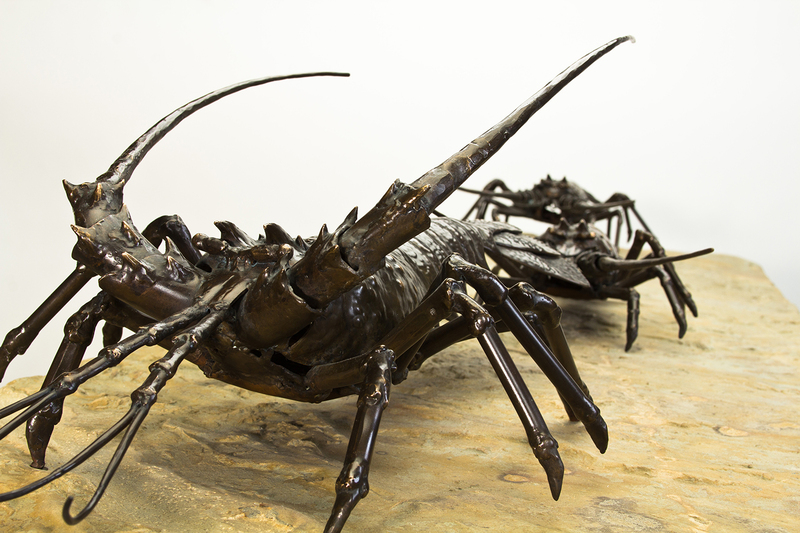 If you are interested in purchasing this Lobster Sculpture for sale contact us now.